As is true in most neighborhoods these days, “for sale” signs are everywhere. The real estate market is CRAZY and many people are choosing to fix up their homes to sell. That’s led to a resurgence of remodeling and upgrading on many homes. Most figure if they can increase the attractiveness of their home, it will be more appealing. Works well for real estate, but not so well for life. Looking better on the outside says little about how well we are on the inside. 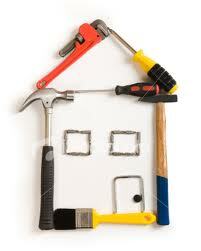 It’s estimated that over $226 billion is spent every year on home improvements in the United States. I don't have the stats, but I bet more money is spent on outside improvements than inside improvements. After all, if we drive by a home for sale, the curb appeal is what catches our eye. It’s been said, “you never get a second chance to make a first impression.” When it comes to selling anything, the look of the item is huge. The quality of the product is determined by the look of the product. The Bible says the heart determines the quality of the person. With the exception of a few cardiologists, we can't see someone’s heart. We’re left to observe the fruits produced from that heart. Yet, most of our maintenance and remodeling work is focused on the outside. Most time is spent on the look: what do I wear? What do I do? How much money do I have? How am I coming across to others? Of course, there is nothing wrong with dressing nicely and saying nice things, but when we’re focused on external things, we tend to neglect the inside heart issues that really matter. I passed a home once that was painted and remodeled a few years ago. I slowed down one day to inspect it closely and realized it was a mobile home that had been sided and roofed to give the appearance of a structured home. There’s sure nothing wrong with living in a mobile home- there are some really nice ones. But this structure was remodeled in a way to appear to be something it was not. People are like that too. But true freedom comes with being genuine. As parents, we are the coaches and teachers that will lead our kids and teenagers in this remodeling craze. What we have to determine is whether we’ll teach our kids to upgrade their inside or their outside. Remember, if I am focused more on outside, it's super hard to teach inside focus. The “do as I say, not as I do” rule has never worked. I can't teach what I don't practice myself. A beautiful house is a great thing, but if the roof leaks and the wallpaper is outdated, then the landscaping means little. Why? Because when we’re actually living in the house, we see it from a different perspective. We need to focus on matters of the heart in our own lives and in the lives of our children. We need to realize that when we focus on the inside, the outside takes care of itself. And the remodeling job is beautiful!